With the month of April having only a few more calendar days remaining until it moved to May, a spring snowstorm dropped nearly a foot of fresh powder on the landscape of Rocky Mountain National Park. These Ponderosa Pines near Deer Mountain were frozen over and covered with snow. 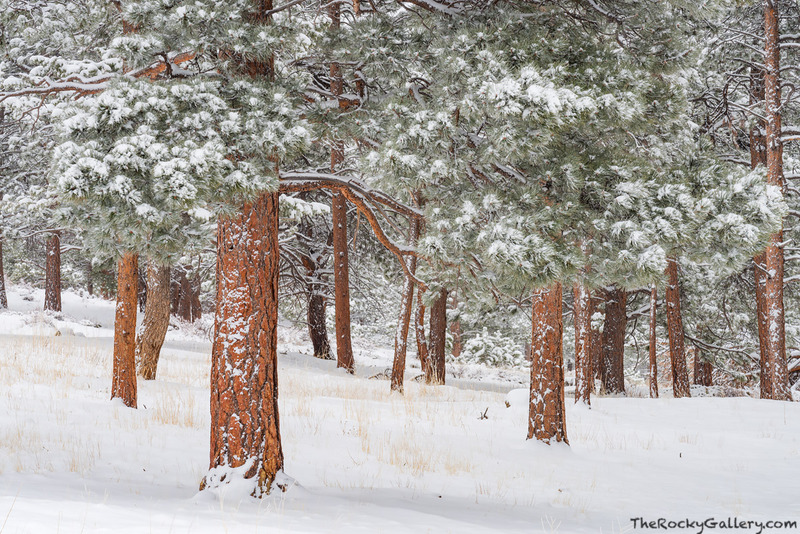 In my opininon, few trees in Rocky Mountain National Park look more stunning than Ponderosa Pines when coated with snow and ice. Photo © copyright by Thomas Mangan.